Enriched with vast industrial experience, we are involved in exporting, importing, distributing, trading and supplying a wide range of Tyre and Tube Valves (AFT-017) in Jamnagar, Gujarat, India. 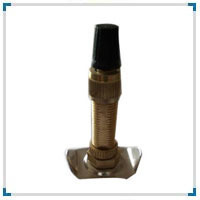 These are engineered using high quality components and following best available standards. Our products are obtainable at very nominal rates. Our products are manufactured keeping in mind international quality standards. Thus, they are reliable and worth their price. A famed name, the company is enlisted amidst the well-known Suppliers of Bicycle Tube Valves. 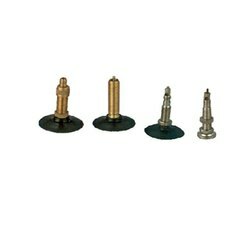 Omni makes replacement valves for motorcycles, cars, LCVs, trucks and buses.The valve and valve hardware is made of high quality brass and are rubberized using special formulated compound .The unique grey chemical cushion, a feature of all omni products, enables quick cold replacement. We are successfully involved in rendering the widely appreciated range of Tube Valves that are robustly designed to cater to the needs related bicycles. These offered parts are assembled by our vendors who have the recognized position in the industry. Further, our experts design them using superior quality raw material that helps in increasing the functional life of the cycles. Power Characteristics: 13 W @ 5 sec.